What type of information is on BeenVerified? 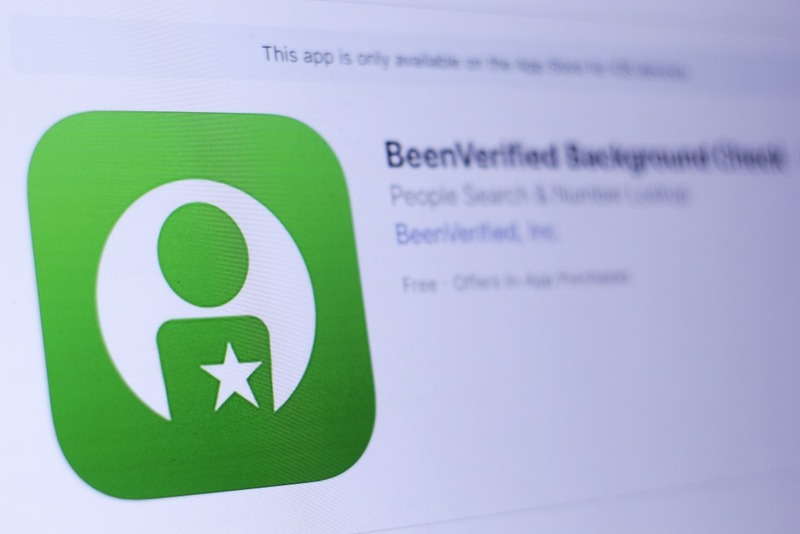 Overview of BeenVerified | What Does Background Check Show? More Notes on the BeenVerified Opt-out Process. Next Steps. You Are So Close! Almost There. Beenverified Opt-out. Does It Really Work? Looking for a way to complete your BeenVerified Opt-out? Over the past decade, EraseMugshots has successfully helped thousands of individuals remove their personal information from various background reporting agencies and data aggregate sites. 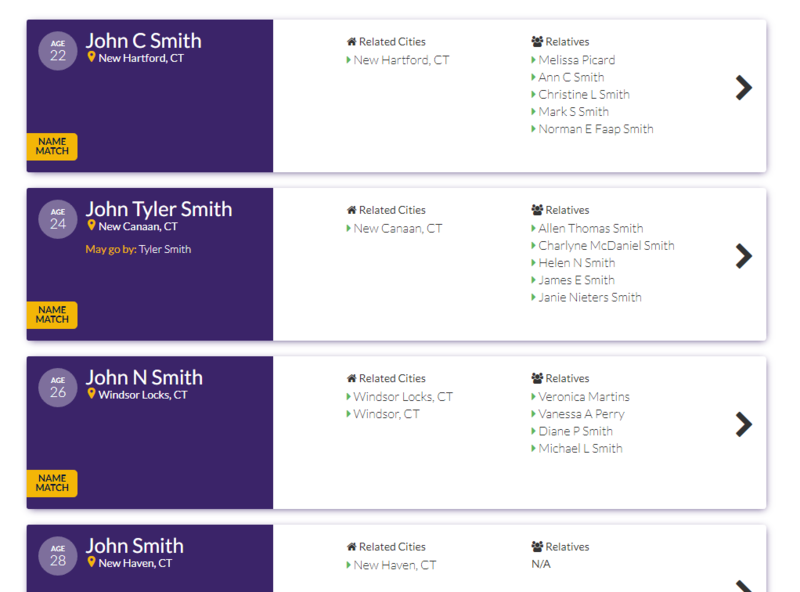 BeenVerified provides an easy-to-use database for a quick and easy way to find individuals. This can be a good database to have unless you have negative information such as a criminal history. If you do, BeenVerified may be helping your back from having the life you’ve always wanted. Within a few minutes, you are able to uncover very personal pieces of private information about any individual. 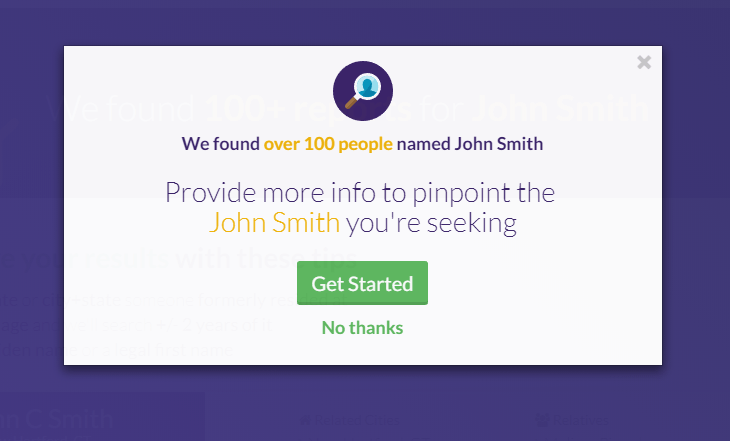 Furthermore, BeenVerified allows you to remove your information from the “People Search” results. Anybody with $10 and an internet connection can find out information such as your address, relatives information, work history, criminal history, social media accounts and much more. Some other websites even disclose your salary! Here at EraseMugshots.com, our reputation team works to remove your information for the top 45+ background reporting agencies. If you have not yet completed your BeenVereified opt-out request there are a few functions that you may want to search first. Before you complete that removal yourself, try searching to see what information is online in reference to your name. 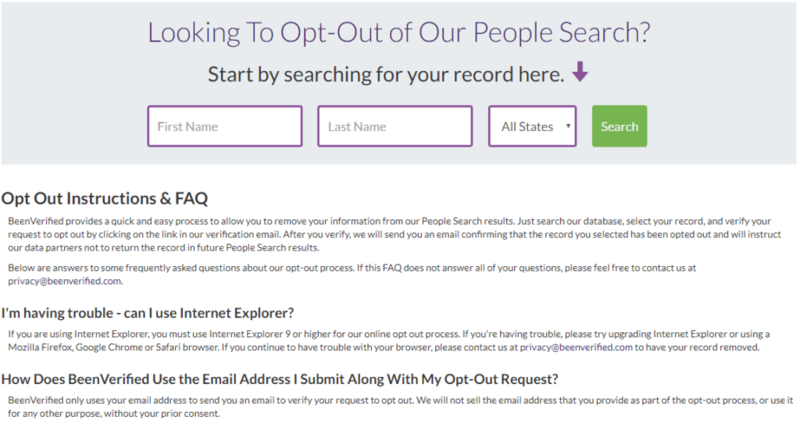 Most of the time people will simply click “opt-out” without reviewing their record. We highly recommend that you diligently research your name in order to track and keep records of any other websites that house your private information similar to BeenVerified. Once you have located a record reference either yourself or another individual you will most likely be prompted with a payment screen in order to view the entire report. Go figure, you have to pay someone else to look at your own information! It is important that you do an efficient job of searching for yourself. So if you have changed addresses recently there may be an entirely new listing about you. The average individual from our experience has anywhere from 1 to 3 different listings on BeenVerified. An easy way to ensure you find everything would be to create a Google Doc with the exact .pdf or URL from BeenVerified. This way you now have a readily available reference link and you can monitor your opt-out. Save this, check annually just to make sure nothing new has presented itself online. In addition, if you are struggling to find the opt-out page. Here is a more in-depth list of instructions on how to remove from BeenVerified. We recommend you do this on a desktop computer, it may be confusing and hard to navigate on your mobile device or smartphone. To remove from BeenVerified you can simply locate that record and request an “opt-out”. 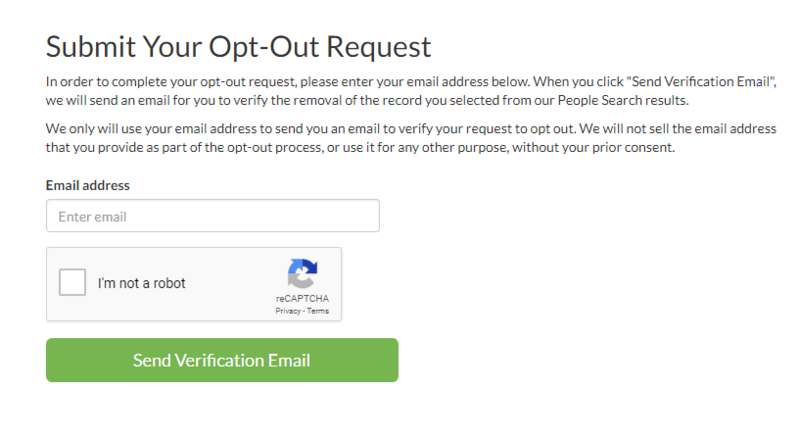 After you request an opt-out, BeenVerified will send you an email confirmation that the record has been approved and will not return the record in future. Seeing as the “opt-out” period takes a few days, you can create what is called on OPT-OUT ACCOUNT. These accounts allow you to make sure that the information you requested to be removed is actually deleted. Next, you will be asking to insert yours or the individuals first name, last name and the state they, live in. You will be prompted by a window with the volume of people who match with the information you inputted. After you have located the desired profile click the account or the arrow on the right side. Once you select an account you are immediately told to “Submit Your Opt-Out Request”. Make sure the email you use it in the profile already. Making a request from an unrecognized email will result in a failed removal. By clicking the “Send Verification Email” button BeenVerified will send you an email so you can approve the removal. BeenVerified makes it clear that they DO NOT and WILL NOT sell the email address that you provided to a third-party. In short, yes and no. Although your BeenVerified opt-out form says your submission is processed and your private and personal information is removed that does not mean it is gone forever. Something as simple as creating a Facebook account may reopen your listing. Here at EraseMugshots is work to monitor all removals in order to guarantee the records never resurface on the internet again. If another individual is searching for information in regards to you, they would need to visit the county clerk’s office instead of simply going on Google and typing in your name. After you have followed the steps above and have verified the email BeenVerified has sent. Now all you can do it wait for them to review your request and remove your information accordingly. BeenVerified only refreshes their database once every 24 hours. So, if you would like to check to see if your profile has reappeared, just check in periodically (monthly/annually) and search for yourself. Another great tip to ensure BeenVerified does not republish would be to set up Google Alerts with your name along with BeenVerified. This way, if anything new appears you will send an email notification almost immediately. In conclusion, there are many other sites aside from BeenVerified that offer similar removal options. Some paid but most are free. Therefore, if you are interested in getting a complimentary copy of your background check, feel free to contact us here. If you are seeking a job and the matter is more urgent, call us directly at 844-461-3632. What other websites should I look for my information to appear on? How long does it take EraseMugshots.com to remove my personal information from over 45+ background reporting website databases? What is the cost? Depending on the severity of the crimes listed on your background report not everyone may utilize this service. However, on average the typical timeframe for a complete and total background removal is 4-7 weeks (expedited removals available upon request, 2-3 weeks). All removals start out at $1,000 and may increase in price if the client has a criminal record and the charges were not dismissed or expunged.